Any infectious disease causing organism a protective response, ie. temperature rise. To the aid of antipyretics for adults, that facilitate state, relieve fever and pain. But not all of a similar activity are equally effective and safe, and the need to take them, under certain conditions and circumstances, so as not to harm the body and not to aggravate the disease picture. The review of the most popular and effective drugs with their properties, features and applications. Some at higher temperatures panic and rush to immediately reduce it by any means and preparations. But we should remember, that the rise in temperature occurs, as a response of the immune system to penetration of viral and bacterial agents. Thus immunity starts biochemical processes in the body to eliminate pathogens. Important! Provided, If the temperature rises to subfebrile marks - 37-38 degrees, do not take antipyretics, but should try to give immunity to fight infection. Elevated temperatures may also be a reaction to the vaccine after vaccination. In this case, the figure rises usually slightly, drink and drugs to lower temperature is not necessary. To reduce the temperature doctors usually prescribed NSAIDs (NPHE), which is currently replaced by the more toxic opioid analgesics. NSAIDs are much less side effects and are gentle compared to older generations of medicines. First generation: nurofen, metindol, butadion, diclofenac, ibuprofen, analgene, aspirin, etc. second generation: nimesil, friends, movalis, Celebrex, arkoksia, et al. The first group of drugs besides antipyretic effect exerts an analgesic effect, but causes a number of side effects: disturbances in the kidneys, stomach ulcer, bronchospasm, negative effect on the liver function. note! Every fourth patient, uncontrolled receiving first-generation antipyretics for a long time, of manifestations of side effects of drugs. The second generation of NSAIDs has far fewer side effects, however, their use can cause abnormalities in the cardiovascular system, if you break the dosage and course of treatment. Any of NSAIDs against temperature desirably employed by a physician, Although most people use their own, tk. they are available for sale at any pharmacy. But the list is so extensive antipyretics, that before the application should still understand the pros and cons of the drug, and choose the most optimal drug. Antipyretics at high temperature produced in the adult form of tablets, solutions for injection, syropov, capsules, rektalynыh suppozitoriy, suspensions. Usually sweet syrups and candles are meant for children, and tablet form are written for adults. The statistics for most adult patients, doctors commonly prescribed drugs of the first generation. 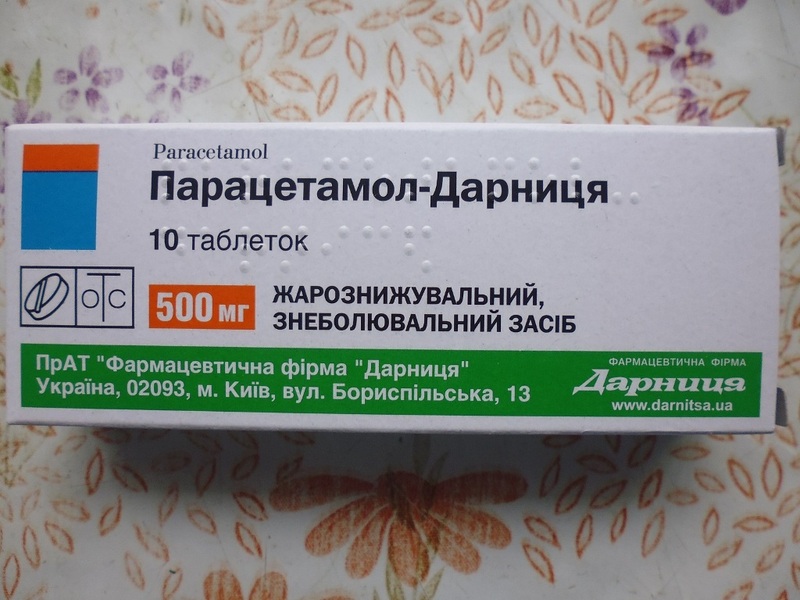 paracetamol The most common antipyretic and anti-inflammatory agent for adults and children. Assigned to lower the temperature and with little pain sensations, cope with inflammatory processes are not as efficient and fast. It does not contain harmful chemical constituents, and is absolutely harmless, subject to a daily dosage. Preparations based on paracetamol cheap and affordable. In overdose causes a negative reaction from the digestive and nervous system. You can not take in chronic alcoholism, liver and kidney pathologies. metamizole As an independent agent is rarely used, but it serves as a basis for a variety of other medical antipyretics. Won fame of highly toxic drug, therefore banned in several countries in the EU and US, but Russia still used. Has a strong anti-inflammatory, Anesthetic effect and lowers the temperature. Antipyretics based on ibuprofen, paracetamol and metamizol sold freely without prescription at any pharmacy. From this, it creates a misconception, it is enough to drink any of these drugs and the disease miraculously disappear. This is not true. Antipyretic drugs - are not attending means for any whatsoever disease, from the common cold to severe viral infections. Their task - reducing the temperature and facilitate the patient's condition. therefore, if within 2-3 days the temperature continues to rise, should seek medical help. Rinzasip, Rinza. Based on the action of paracetamol, caffeine and other auxiliaries. Available in a variety of forms: Rinzai - Tablets, Rinzasip - powder for drinking. have contraindications: arterial hypertension, heart disease, pregnancy, glaucoma, human liver and renal function, et al. 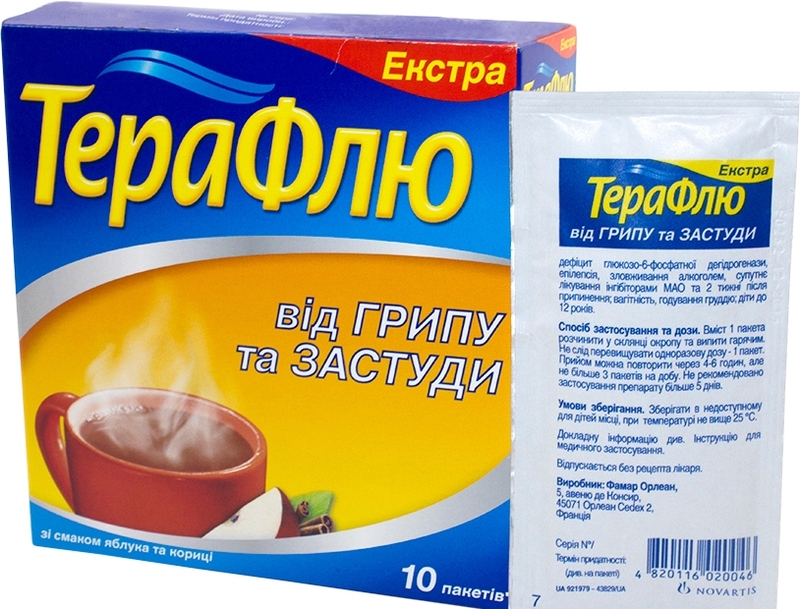 Theraflu. It eliminates the pain of any kind, eases cough, removes fever and temperature. basis: paracetamol, pheniramine, vitamin C, chlorphenamine, lidocaine, podslastiteli, dyes. Contraindications: diabetes, kidney failure, pregnancy, impaired liver function. Koldakt and Coldrex. It has a strong analgesic effect, struggling with a fever, heat, relieve swelling of the nasopharynx. basis: in Koldakta - paracetamol, chlorphenamine, phenylephrine, in koldreks - ascorbic acid, caffeine, paratsetomol etc.. Means may cause side effects of the various systems and organs, therefore can not exceed the specified dosage. Medications in this group are based on the action of the active substance -meloksikama, nimesulide or coxibs. Meloxicam tablets and rectal suppository. When choosing antipyretics should remember, that can not be taken simultaneously two of a group of the drug. Otherwise, the negative effect can be obtained in the form of drug overdose, and deterioration of the general condition of the patient. For pregnant the best medication to reduce fever is paracetamol. He allowed at all stages of gestation and is applied at any diseases, associated with fever. If there are other components in addition to paracetamol in the composition of the drug, eg, caffeine, phenylephrine, or other, then these drugs during pregnancy is forbidden to take. At all stages of childbearing permitted to use candles Vibrukol removal temperature. The timing of 14 to 27 perhaps weeks of ibuprofen. During pregnancy, all antipyretic drugs are prescribed only to relieve certain symptoms, and only a minimal dosage. They take prescribed by a doctor, tk. independent use may lead to termination of pregnancy and the emergence of pathologies. vinegar solution. In liter of boiled water insoluble vinegar, after which the solution is wetted cloth, which wipes the patient's body. The effect of acetic rubdowns instant and operates some time, after which the procedure can be repeated. The method is suitable, how children, and adults. raspberry and black currant. From twisted with berries with sugar cooked medicinal teas and decoctions. It is worth noting, that at an elevated temperature of raspberry jam and honey is recommended not to drink, tk. instead of the required cooling effect, on the contrary the body will overheat, what, by the way, It creates an unnecessary burden on the heart. lime. Tea made from linden prepare, Bay tablespoon of boiling water plants (as an ordinary tea). after 5-10 minutes, the patient begins to sweat and temperature there is a gradual decline. Citrus. Citrus pulp and juice from them help to fight viruses, reduce fever and relieve the patient's condition. 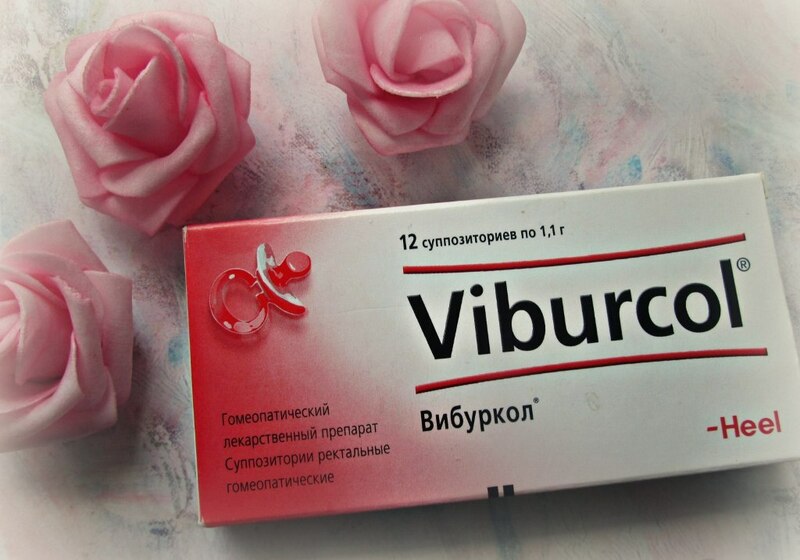 Antipyretic folk remedies help to build heat in the body, with the result that the patient begins to perspire, and the temperature is reduced. Any means of heat does not eliminate the cause of the disease, he was summoned, but only eliminate some symptoms of the disease and facilitate the overall health of the patient. 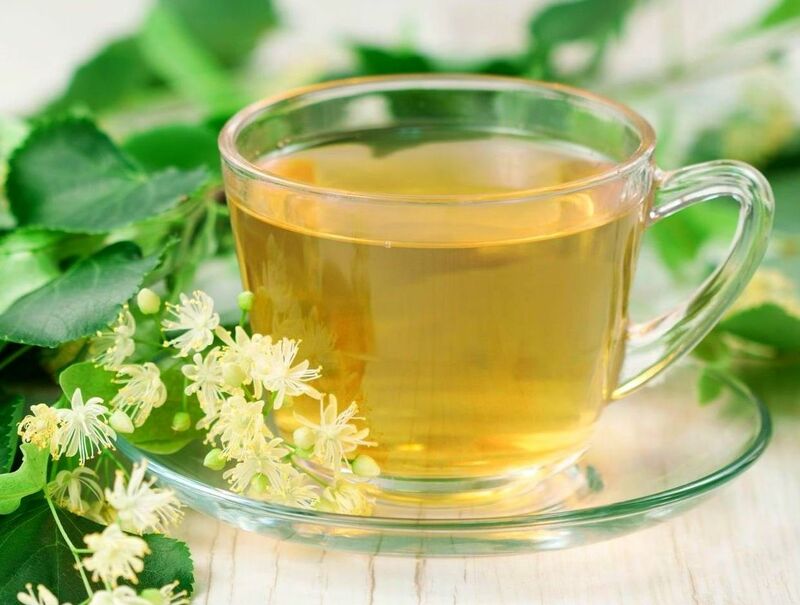 therefore, if it is possible to observe a few days of bed rest, you should stop taking fever-reducing in favor of the traditional methods of treatment: excessive drinking, lemon, honey, medicinal teas, cold packs, etc.. When you join a disease of bacterial infection. If within an hour after receiving antipyretic temperature was normalized, should seek medical help, but in any case not to repeat the drug. 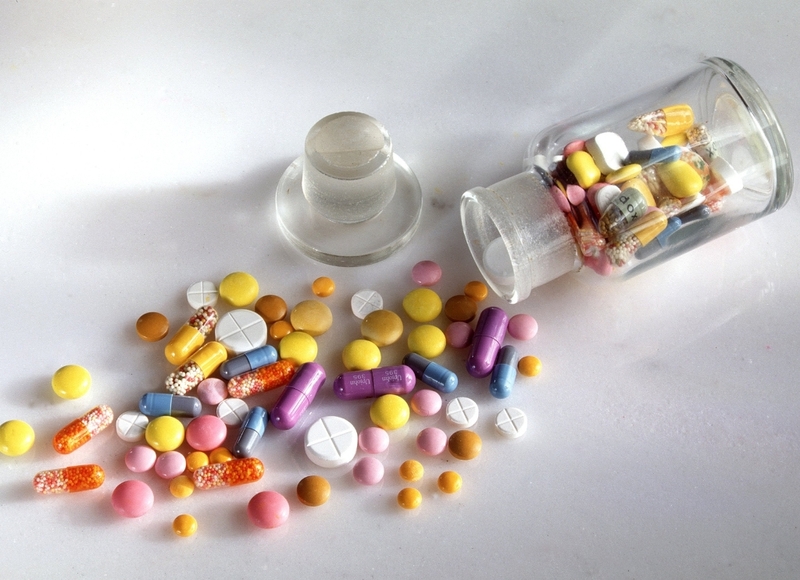 It is desirable to give preference to a single component drugs. The body needs less force on the assimilation of the drug substance, and during the disease not to overload it is further harmful substances and dyes, commonly found in packaged media hot drinks from the heat. You can not take a remedy for fever for more than three days. Rapid relief state when receiving antipyretic allows the patient to take medication, as absolutely safe means. But do not forget, any drug that incorporates a relatively strong active components, which can cause severe side effects in the case of uncontrolled drug administration. It is not necessary to drink antipyretics with antibiotics, are registered by the doctor. You can not use antipyretics combined with alcohol - it does not matter to the intake of alcohol or after. This combination may cause serious disorders of the liver, kidney, stomach, intestines and other organs and systems. More often than antipyretics patient begins taking without consulting a doctor. Therefore, to the patient should be carefully monitored dosage and carry out reception of funds under the scheme: is the temperature - drink cure, no - do not take drugs. In such formulations can not be taken as a temperature increase prevention. The drug Fervex - from what helps and how the medication. How to make children and adults? Vaccination against flu 2017 year – who you can and can not do it?